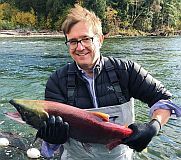 Salmon are recognized as an iconic species, often considered the ‘Canaries of watershed health’ – with the basic premise being that what is good for salmon is indicative of healthy, productive watersheds and vise-versa. 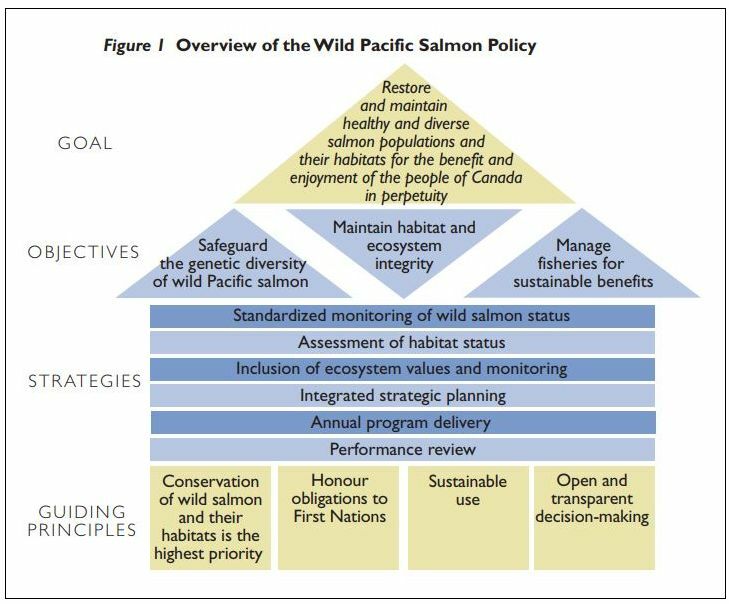 This perspective ‘compels or encourages’ DFO government engagement and collaboration in such broader processes and thinking beyond simply salmon alone – that is, ‘beyond the fins’; recognizing the value of mutual interests and benefits of collective efforts in restoration of watershed functions. 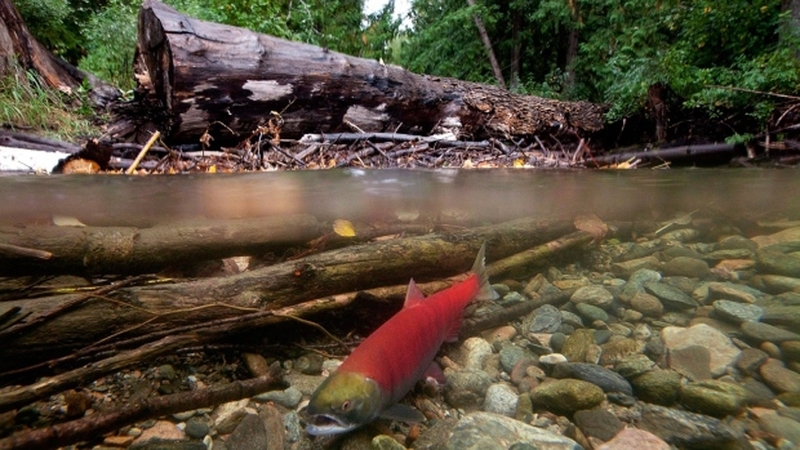 The British Columbia Salmon Restoration and Innovation Fund is a contribution program funded jointly by the federal and provincial government. The fund will provide an investment of up to $142.85 million over 5 years to support BC’s fish and seafood sector, and to ensure the sustainability of wild Pacific salmon and other BC fish stocks. 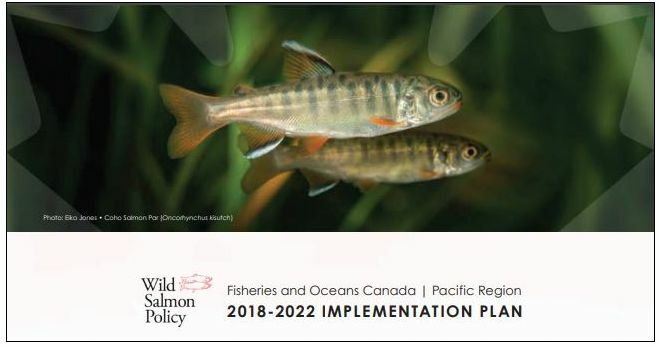 The fund will support protection and restoration activities for priority wild fish stocks, including salmon, as well as projects that will ensure the fish and seafood sector in BC is positioned for long-term environmental and economic sustainability. The federal government will provide 70% of the funding, and 30% will come from the Province of BC. 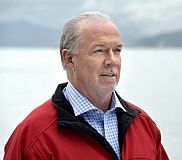 “When it comes to our wild salmon stocks, there is no better indicator of the challenges we face than rising water temperatures, low snow pack, rivers that aren’t full with enough water to sustain our salmon, and that’s where we need to intervene,” continued BC Premier John Horgan. Horgan and Wilkinson said wild salmon are deeply woven into B.C.’s cultural, social and economic fabric.